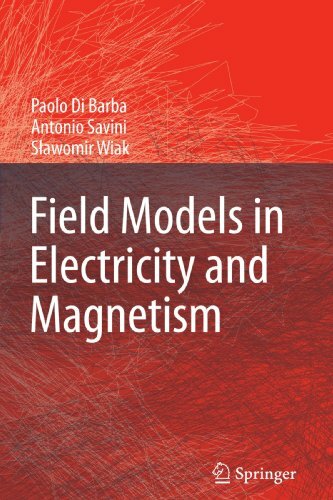 Covering the development of field computation in the past forty years, this book is a concise, comprehensive and up-to-date introduction to methods for the analysis and synthesis of electric and magnetic fields. A broad view of the subject of field models in electricity and magnetism, ranging from basic theory to numerical applications, is offered. The approach throughout is to solve field problems directly from partial differential equations in terms of vector quantities. About: Covering the development of field computation in the past forty years, this book is a concise, comprehensive and up-to-date introduction to methods for the analysis and synthesis of electric and magnetic fields. With Paolo Di Barba, Antonio Savini, Joseph Malkevitch | from Prentice Hall (December 1, 1973); titled "Graphs, Models and Finite Mathematics"